Get ready for the Nexus Watch line. A report from Android Police, which offers a pretty solid track record in the rumor department, says Google is building two such wearables that will serve as a showcase for the company’s new Google Assistant. Both watches are said to have a circular display without the “fat tire” found on wearables like the Moto 360. It could look similar to the Huawei watch (pictured above). One watch, using the codename “Angelfish” (Google goes with fishy codenames for its Nexus line, though this one is unconfirmed) is similar to the Moto 360 and LG Watch Urbane LTE with visible lugs, a “smooth housing shape,” though without the puck-type shape of Motorola’s watches. The overall aesthetic is described as “sporty” with three physical buttons, one of them a large crown, and two smaller ones on either side. The report says the watch won’t support Google’s interchangeable Mode watch bands, however. 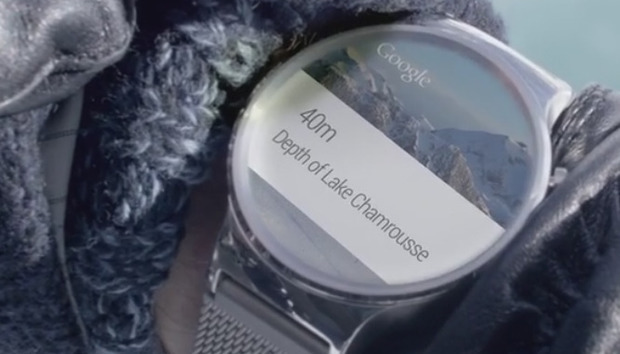 The diameter is supposed to be 43.5mm, which by comparison is smaller than the large-model Moto 360. The other watch is referred to as “Swordfish,” with a single button and a more “Apple Watch-like” design. The center of the button cap is described as polished metal, with a ridged crown on the bezel. The body diameter is 42mm with a thickness of 10.6 mm, which is .8 mm thinner than the current Moto 360. The new Google Assistant would play a prominent role as part of Google’s effort to make its services central to the Nexus line. CEO Sundar Pichai has also hinted at how the Nexus line would include more software features to distinguish it from other Android gear. There was no word on price or general availability, only that they would come after the launch of the next Nexus phones. Why this matters: Android Wear doesn’t have the same fragmentation problem as found on phones and tablets, but Google may want to reassert itself more strongly in the wearable space anyway. Much of this may be driven by Samsung’s Gear line of watches, which use the company’s own Tizen operating system. With one of Google’s partners going rogue, it may want to take more control to ensure Android Wear remains a compelling option for your wrist.